Silver Trident Winery was a surprise to us. 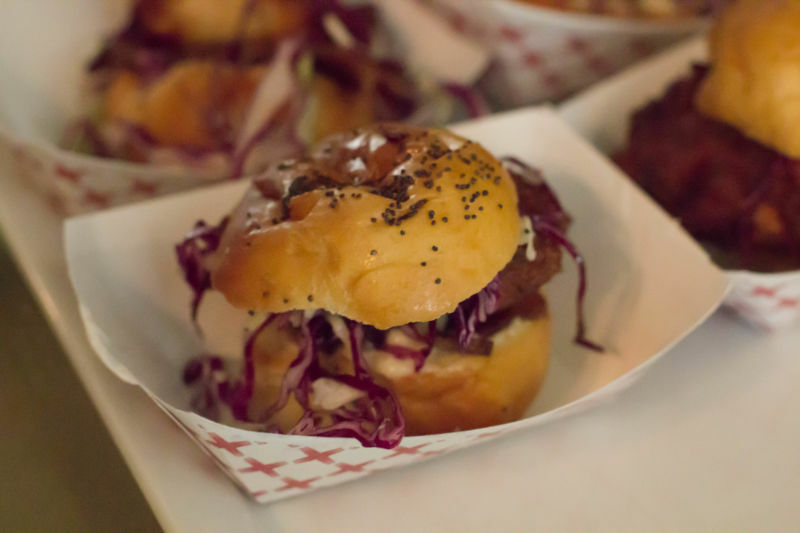 We had never heard of them before we rececived an invitation to their Pig and Pinot event. We looked them up on Google and found that they were located right across from Bistro Jeanty where we had just dined the week before. 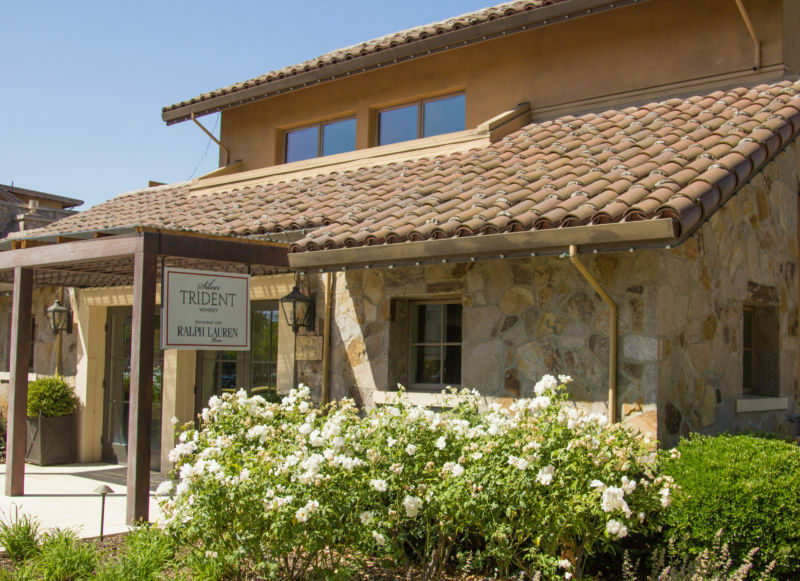 The first thing you notice when you arrive at the Silver Trident tasting room is their stunning decor. I have a love for classic style which, of course, includes Ralph Lauren. 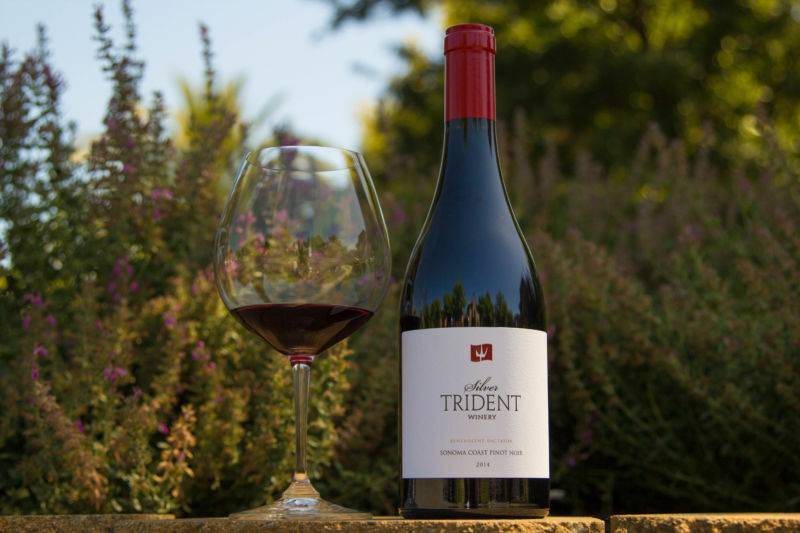 Instead of a traditional dark or stark tasting room, Silver Trident has gone for a luxurious, elegant, and yet at home feel. 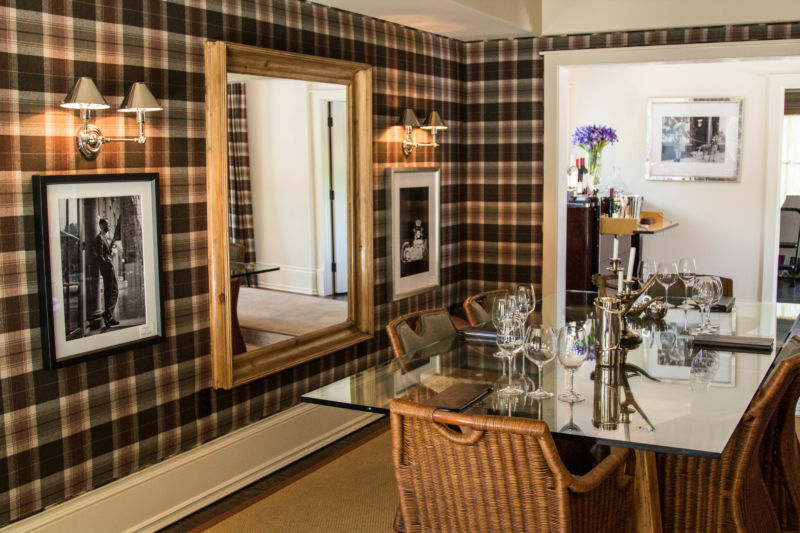 Each room is laid out to sit in like you would at a friend’s living room, so you can enjoy your wine in comfort and style. I think it makes the wine taste just a little more classy. I loved it. On the day of the Pig and Pinot we got to learn about this fascinating place and taste their wonderful wines. We were both pleasantly surprised and enthusiastic about all we tasted that day. One of the highlights for me was the Sauvignon Blanc which is made in an elegant European style. Fruit forward, no oak, clean and crisp with a gorgeous richness to each sip. I have said it before: I am not usually a fan of Sauvignon Blanc, but this hit all of my notes for being good. The second tasting of wine was their rosé. Again, it was a win as a subtle, but not too sweet wine that reminds me of all things summer. I would have been happy to enjoy a few glasses of this one outside on their beautiful upstairs deck overlooking Yountville. It is just that kind of laid back type of wine. We then did a vertical tasting of their Pinot; starting way back in 2010. It was very interesting to taste each year and the growth of the winery. It seemed to get better and better with each year. I really loved their newest release and for me it was a toss up between 2013 and 2014 as to which one I liked better. Even though 2014 is still a bit young you can taste the quality right now. I wouldn’t hesitate to buy several bottles. We did the first half of the vertical tasting in their upstairs “loft space”. That space was set-up as a place to show off the gorgeous Ralph Lauren accessories and gifts to purchase. I was tempted by more than just the wine, but I managed to restrain myself. I am sure The Brit was relieved. The event itself was a lot of fun. They had a terrific turn-out. 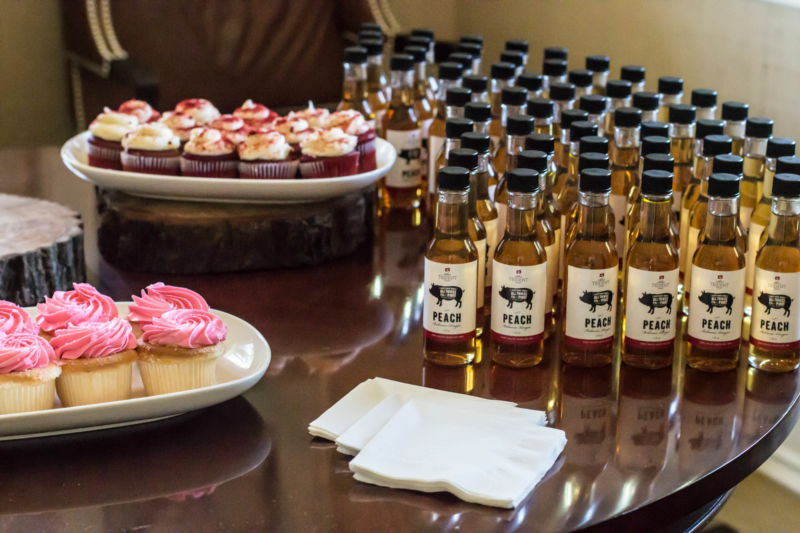 A juxtaposition to the elegance of the wine and the tasting room was that the event was catered by a San Francisco food truck called “Bacon Bacon”. Ironically, it is one of The Brit’s favorite food trucks. He was in heaven. 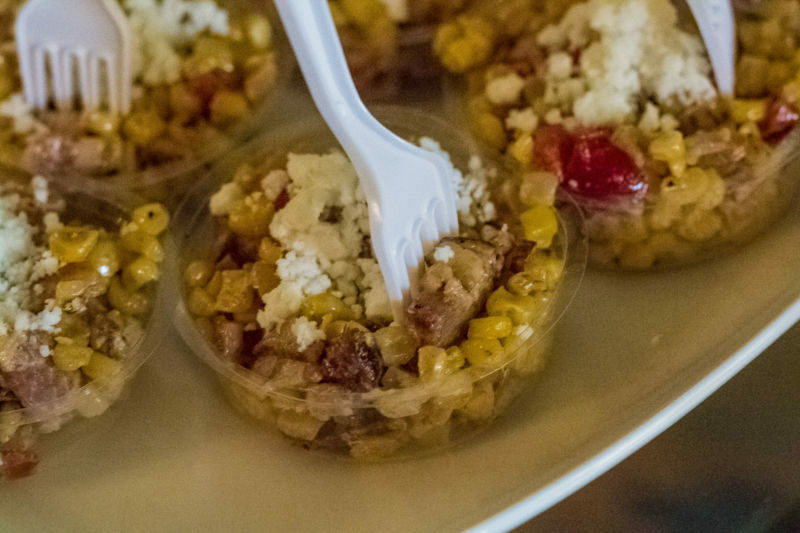 They had a big selection of nibbles: pork sliders, macaroni and cheese balls with bacon, pulled pork chili, grilled cheese and bacon sandwiches, cupcakes, chocolate and toffee covered bacon, caramel corn with bacon, and the list goes on. It was a fun and interesting spread of food. Everything was very tasty. The other fun thing they did for the event was inviting people to “walk the red carpet” and have photographs taken with a real live pig. As weird as it sounds, it was quirky and fun and people really seemed to have a great time doing that. 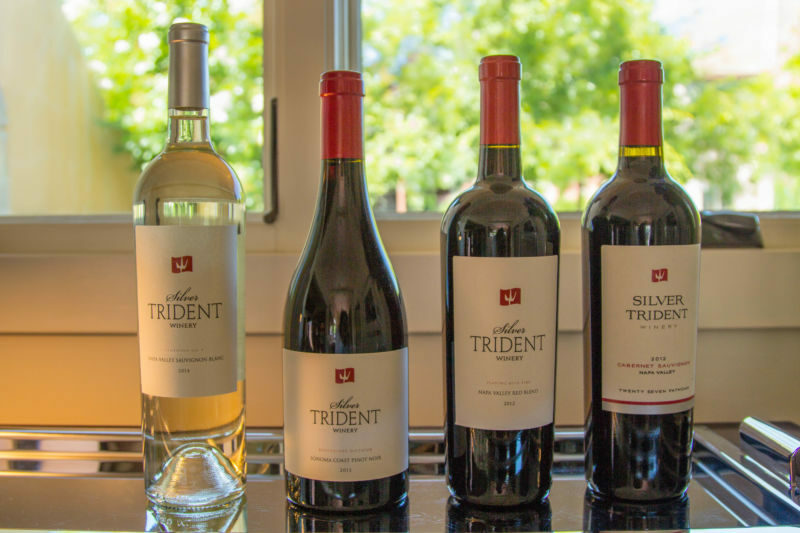 If you love Ralph Lauren (well come on, who doesn’t) and you love great Pinot Noir – again duh; then Silver Trident Winery is the place you should go. 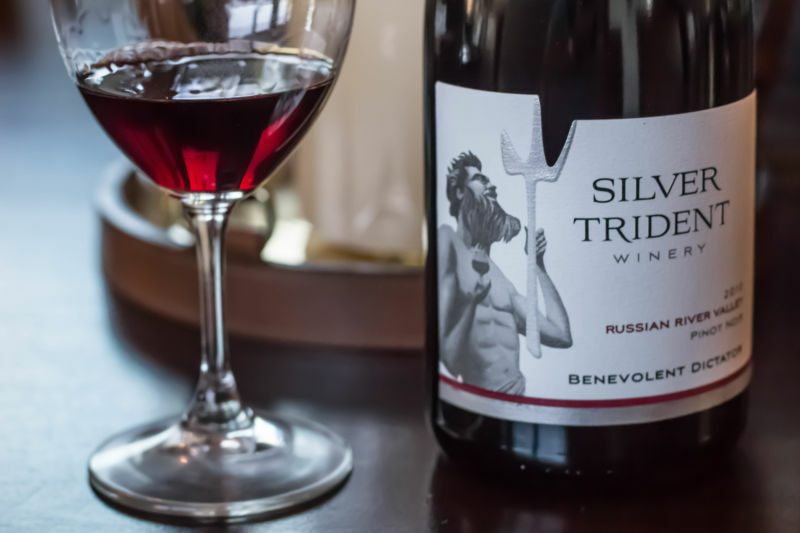 I could name several well known wineries in the Napa Valley who are known for their Pinot Noir, but whose higher priced wine is not as good as Silver Trident’s version. The Brit comments: The grapes for their Pinot Noir are from Sonoma Coast; Yountville not having a climate suitable for the thin-skinned grape. 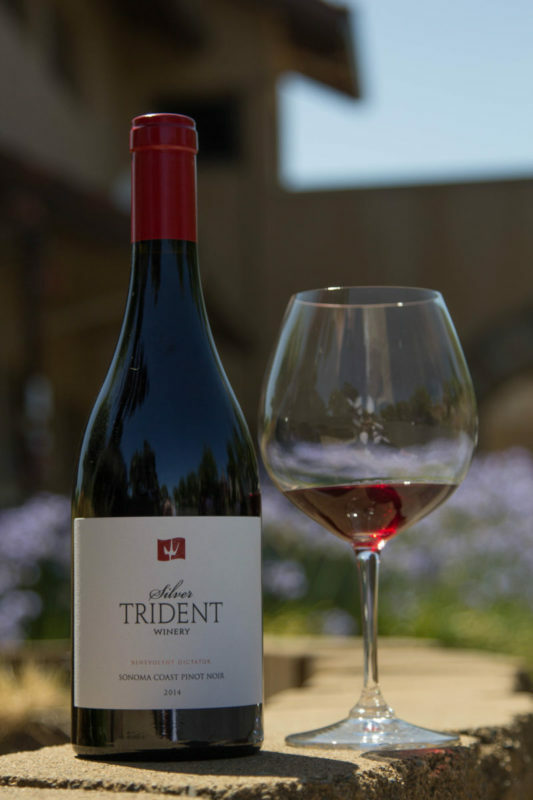 Silver Trident give their wines idiosyncratic names. The Sauvignon Blanc is “Symphony No 9”, the rosé of Pinot is “Apollo’s Folly”, and the Pinot bears the name “Benevolent Dictator”. 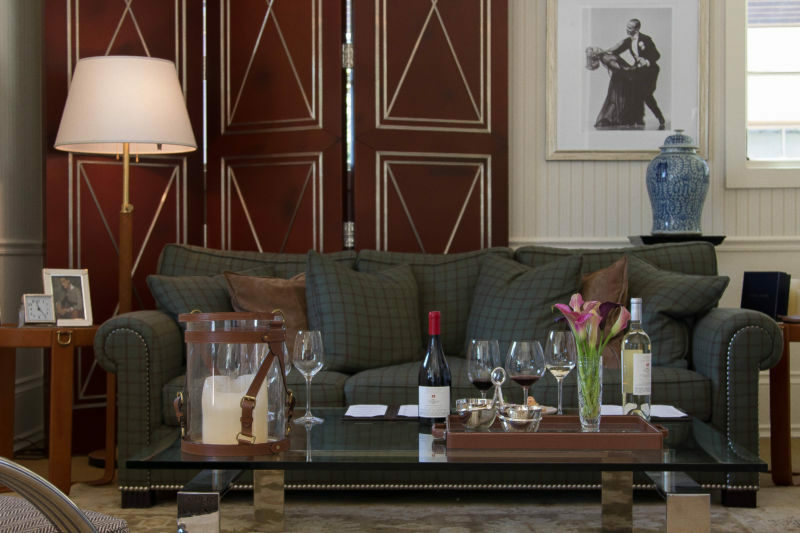 The combination of good wine and sumptuous decor makes this place stand out from the other tasting rooms in Yountville.